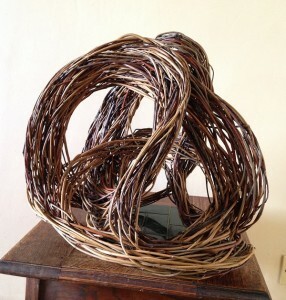 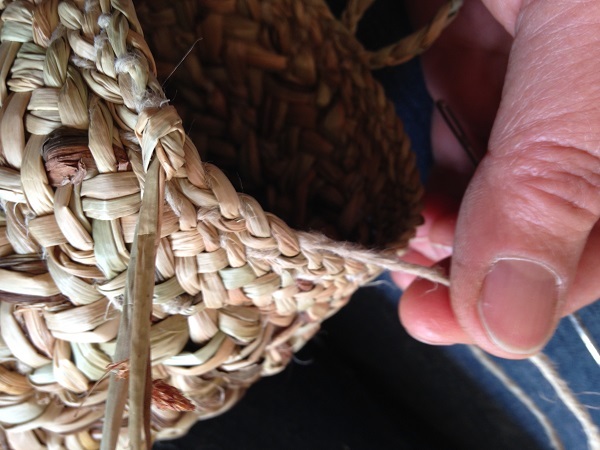 I am just back from a 4 day workshop with Tim Johnson, artist and basket maker. 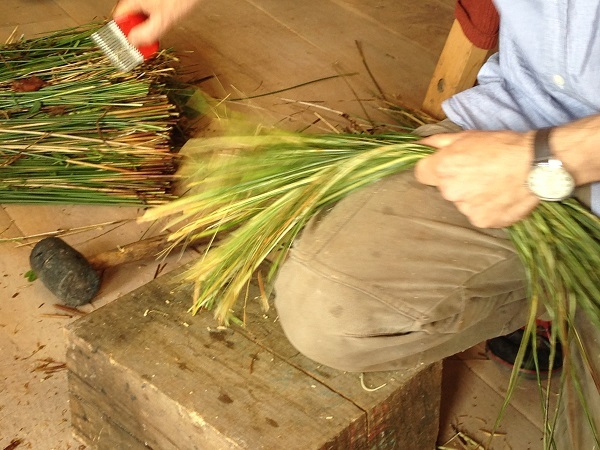 We went out into the landscape to harvest raw materials then prepared and made them into finished (or experimental) products. 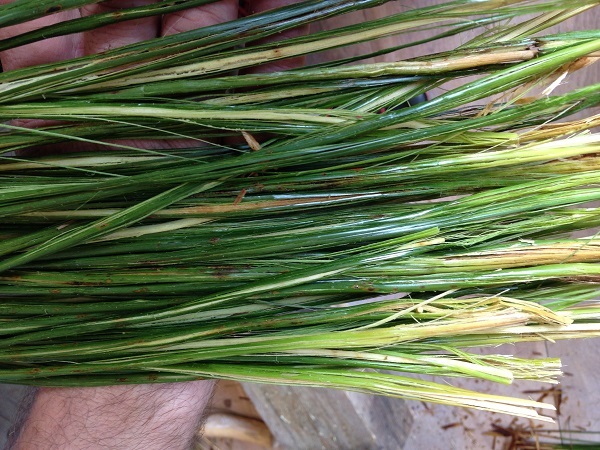 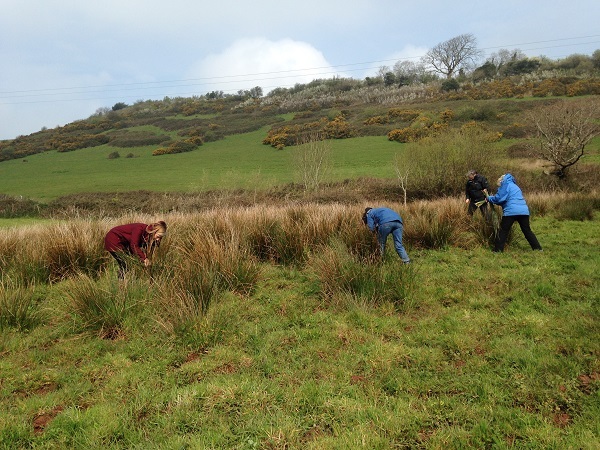 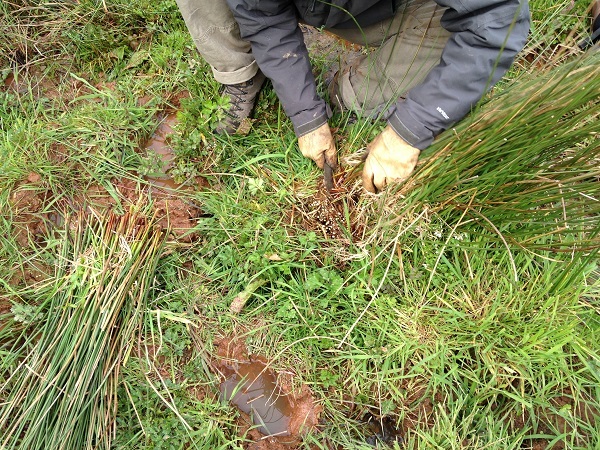 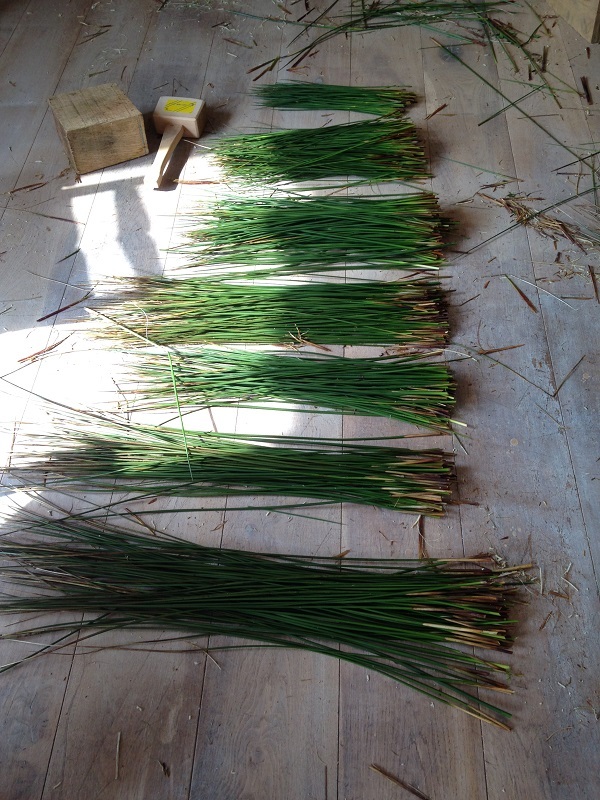 Juncus effussus is commonly known as ‘soft rush’ and grows in damp meadows across the UK. 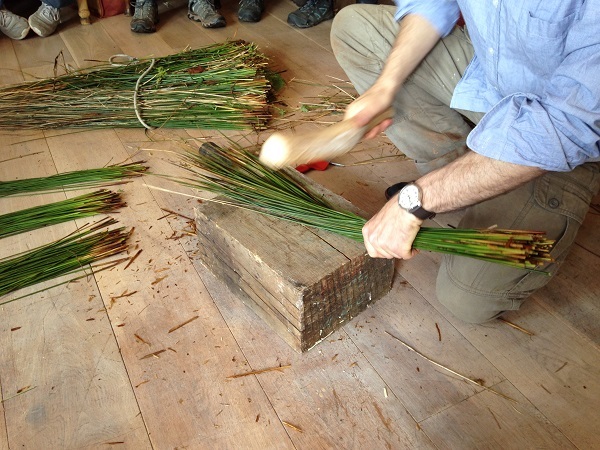 For many centuries, before the advent of electricity or in rural areas, rush lights were used for lighting – they were made by extracting the pith from soft rush and soaking this in fat or grease. 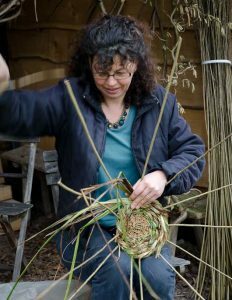 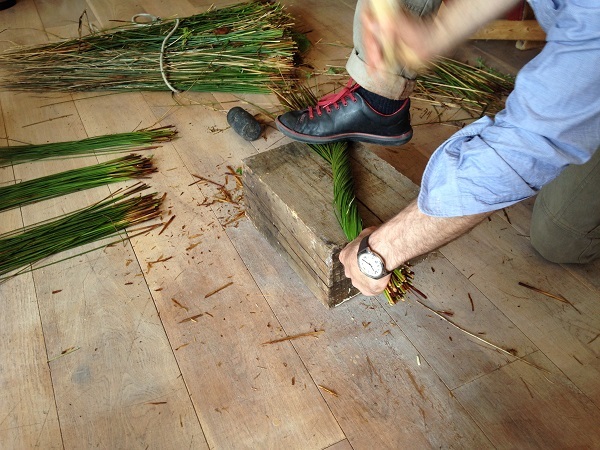 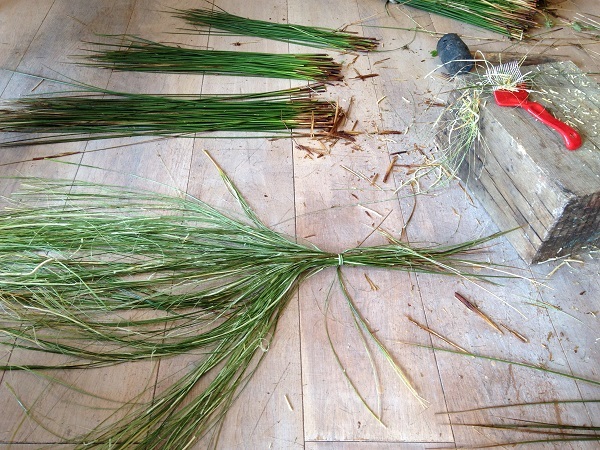 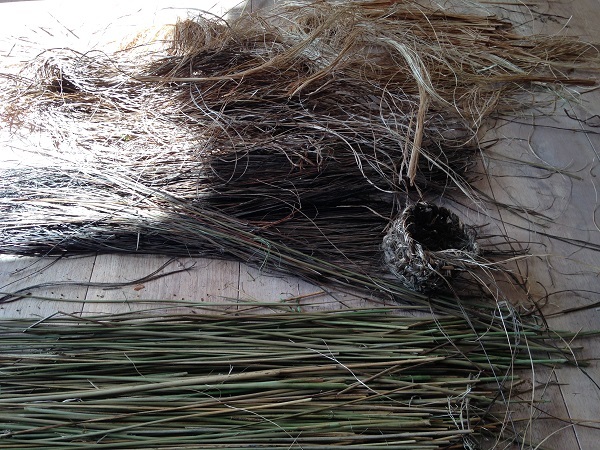 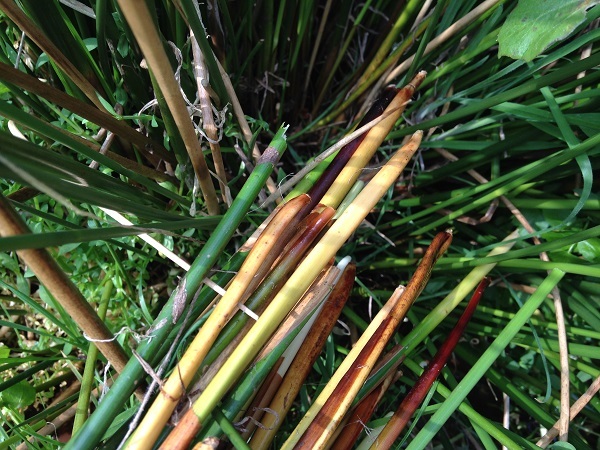 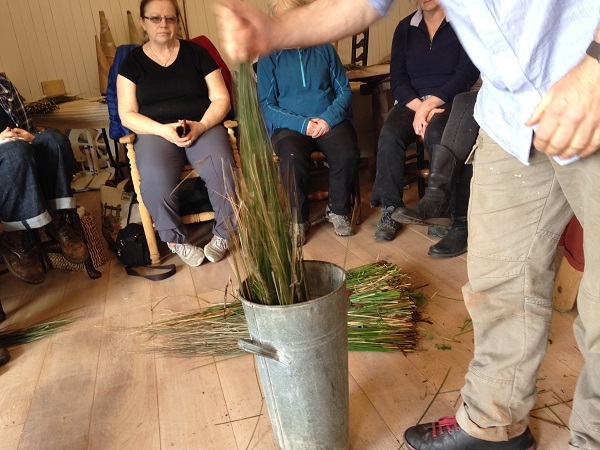 We harvested rush to make into cordage or to use whole in braiding and weaving. 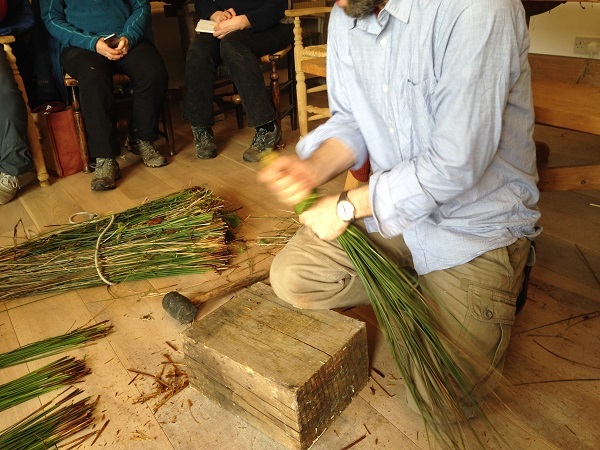 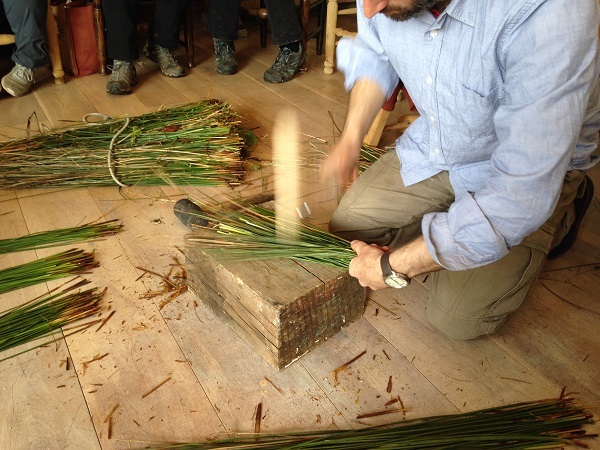 During the rest of the course Tim taught us palm plying to make cordage, braiding and looping.